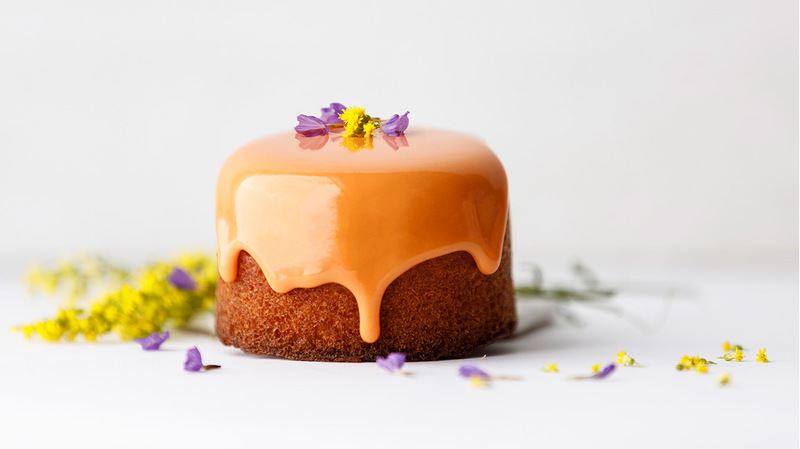 The true glory of our Lemon Verbena Pound Cake with Tangerine Glaze is that it works equally well for an indulgent, special occasion breakfast or a pleasant mid-afternoon treat or a light spring dessert. 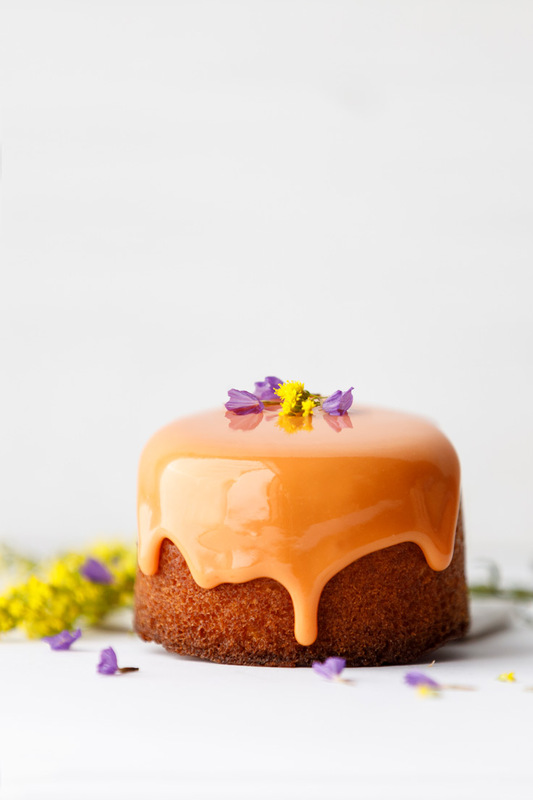 Decorate with edible flowers for an extra delightful presentation. Makes 12 muffin-sized cakes or 1 standard loaf. Add eggs, one at a time, mixing until fully incorporated. Lastly, add the half & half and Lemon Verbena Swirl. If making muffin-sized cakes, bake for 15-18 minutes in a greased muffin tin. If making a full-size loaf, bake for 30-35 minutes in a greased loaf pan. Whisk powdered sugar and Tangerine Artisan together.